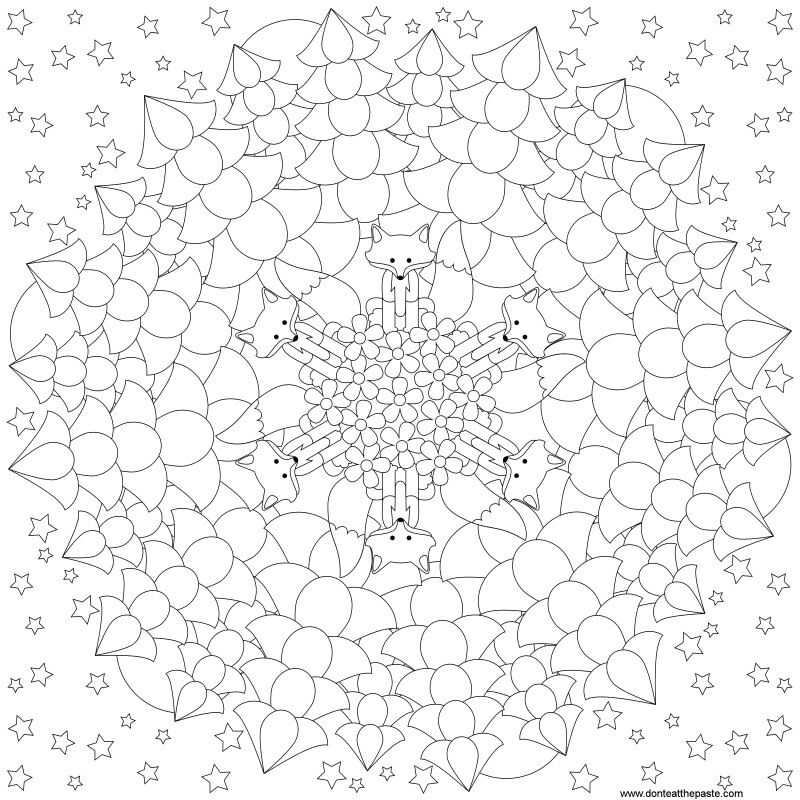 I hope you enjoy this mandala, it was a lot of fun to draw it! 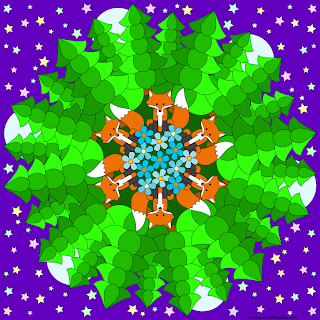 Foxes, flowers, trees and stars form 6 sides to this one. This weekend I decided that this week I'd re-read the Harry Potter books. So if you see a lot of wizard-y stuff in the next week or so, that's the reason why! Yesterday was year 1 and 2 and half of 3. Today I plan to finish 3 and possibly 4. Yay! 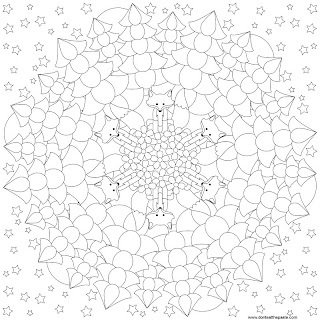 Buy the Don't Eat the Paste Mandala Coloring Collection! 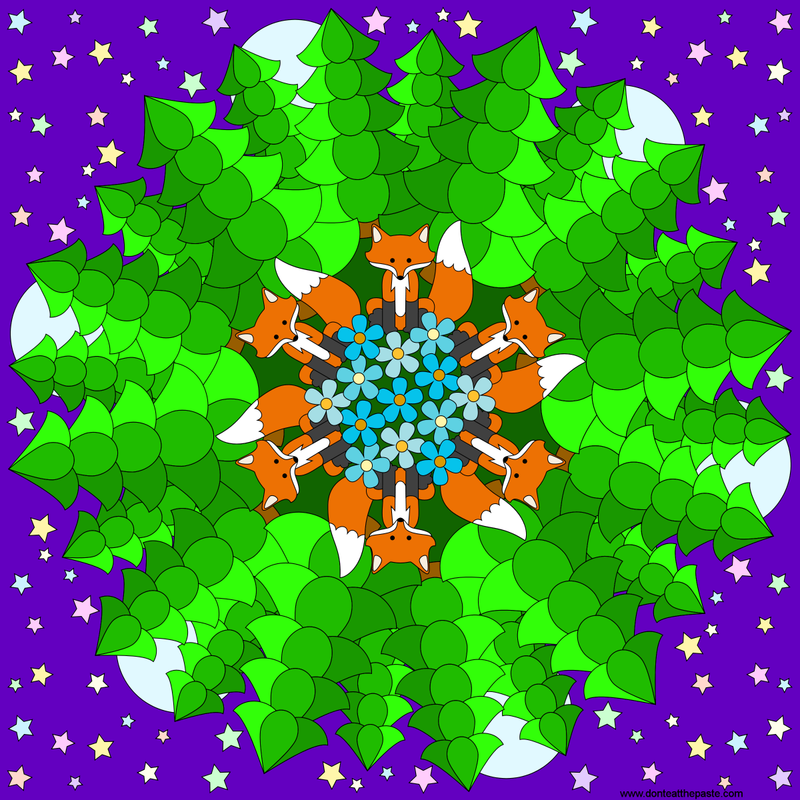 It has this and 49 other mandalas from this site.